I often say that your career is like marriage: Job searching is dating, starting a new job is like a honeymoon and then you have ups and downs throughout. We are even seeing the dating behavior “ghosting” in the job-searching process. “Ghosting” is defined as the act of suddenly ceasing all communication with someone. This is done in hopes that the ghostee will just “get the hint” and leave the subject alone, as opposed to the subject simply telling them he/she is no longer interested. Almost half (41%) of job seekers believe it’s “reasonable” to ghost a company, according to a recent survey by Clutch, a business-to-business ratings and reviews company. And almost one in 10 (9%) said that it’s “acceptable” to ghost even after accepting a job offer– even though more than one-third of candidates complained that it’s “very unreasonable” for a company to ghost an applicant. With many companies hiring, I think candidates really have the power in their hands. The U.S. added 201,000 jobs in August, according to the most recent Labor Department jobs report, and the unemployment rate held steady at just 3.9%. More than half of job seekers (55%) said that they abandon one to five job applications during their job search and their most common reasons for ghosting include accepting another job offer (30%) and deciding that the open position just isn’t the right fit for them (19%). Inexperience also plays a part. We typically find this happening more among candidates that are more entry-level. These newbies aren’t familiar with business etiquette or the job application process and don’t realize that you can burn a bridge. Perhaps candidates are using this technique because employers are doing this to them during the application process? After all, more than one in three job seekers (36%) told Clutch that the last company that rejected them did so by not responding at all. During the survey, 23% of ghosters said that they cut off communication with a company because the company ghosted them first. So now businesses are feeling the frustration that many job candidates have. A recent LinkedIn article interviewed more than a dozen recruiters in industries ranging from food service to finance, who all reported that the number of candidates ignoring emails and phone messages from hiring managers — and even blowing off job interviews — is on the rise. Ghosting a potential employer or job placement agency — even if that company has its own history of ghosting — could come back to haunt you. Most corporations keep records and will automatically disqualify candidates who have ghosted. Employment like any relationship is based on trust and commitment, and we can’t hire you in fear that you would do that again. Even when time passes along, if a recruiter pulls up a profile and sees that a candidate applied to a job a year-and-a-half ago, and then ghosted, we would think this person is kind of flakey. You can let a company down without making it awkward. Ideally it would be over the phone, because it’s so much easier instead of going back and forth (on email). Just give a brief explanation why, and a professional recruiter will listen and just wish you luck. For example, “Thank you for your time, but I’m going to pass on this opportunity,” or “I’ve decided to go in a different direction,” or “I’ve accepted another offer with a higher salary or better healthcare benefits,” which most people can appreciate. If picking up the phone and calling is too terrifying, then send an email with one of the above explanations. We just want a quick message with a simple reason, and because you didn’t “ghost,” the door would still be open for you for the future. 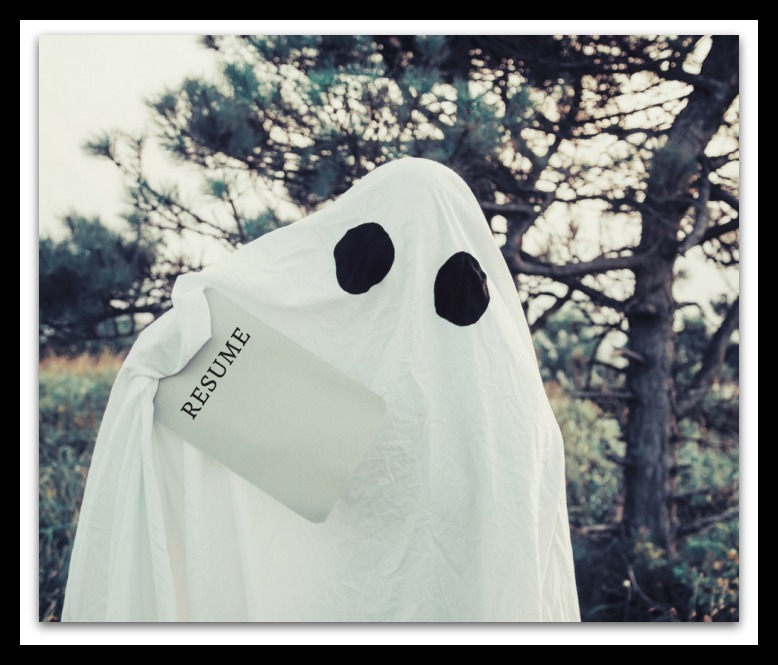 SharpLink makes every effort to not give our candidates a “Ghosting” experience and we strive to help our job seekers in the process. To learn more about how #SharplinkWorks, give us a call today! 2018 Staffing Associate of the Year! What Makes a Good Staffing Agency? Is Your Resume Getting Lost? 5 Tips to make your Job Search Sizzle.